Marv's Appliance has been servicing the Northwest Chicago Suburbs' major household appliances since 1982. We are a second generation family business. We have flexible appointments to fit your schedule. We offer in-home appliance repair Marv's will also help with your home improvements or other home repairs We service all makes and models of: Dishwashers Washers and dryers Ovens, stoves and ranges Garbage disposals RefrigeratorsWe guarantee all our work, so it is done right the first time. 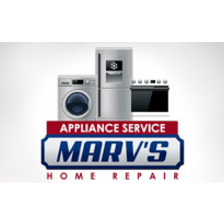 Call Marv's Appliance today and ask about our free service call with repair! This is a $29 value.